If you’re anything like me, you can’t resist those boxes of old photos in thrift shops. They draw you in, like a moth to a flame. And before you know it, half an hour has passed and you’ve got a stack of pictures in your hand. And you don’t know a single person in them. That’s exactly what it’s like to be a collector of vintage photos. 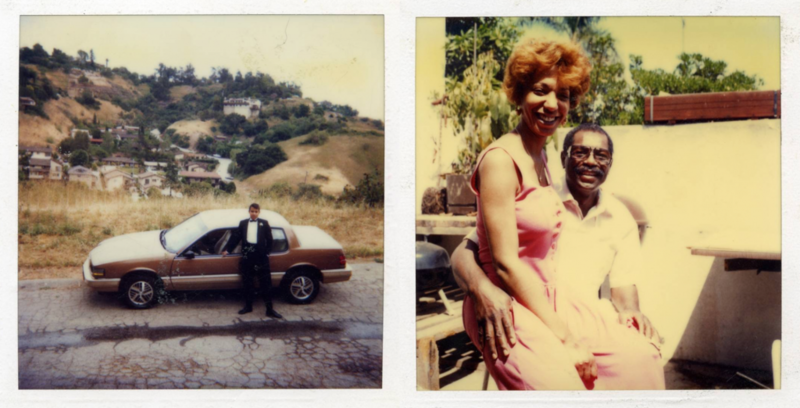 Whether you call them “found photos,” “vernacular photography,” or simply “orphaned photographs,” they call out to many of us, begging us to consider their backstories. But usually, there is no backstory. Many times, nobody took time to write down notes or captions on the photos. So the stories are left to our imaginations. Maybe that’s part of the appeal, part of the magic? I certainly think so! That’s why I have compiled this list of 5 Instagram feeds you should be following if you’re one of those folks who collects vintage photos of strangers. Check them out, you won’t regret it. 1. Beijing Silver Mine / @beijing_silvermine – When over half a million negatives were discovered at a recycling plant near Beijing, this stunning series was born. By salvaging the negatives over a seven year period, curator Thomas Sauvin has created a body of work that is both beautiful and bizarre. By recovering snapshots captured by anonymous and ordinary Chinese people, Sauvin has amassed a visual archive of post-socialist China. The breadth and depth of the old photographs are remarkable; all ages are represented. The photos span two decades, covering Chinese culture from 1985 to 2005. 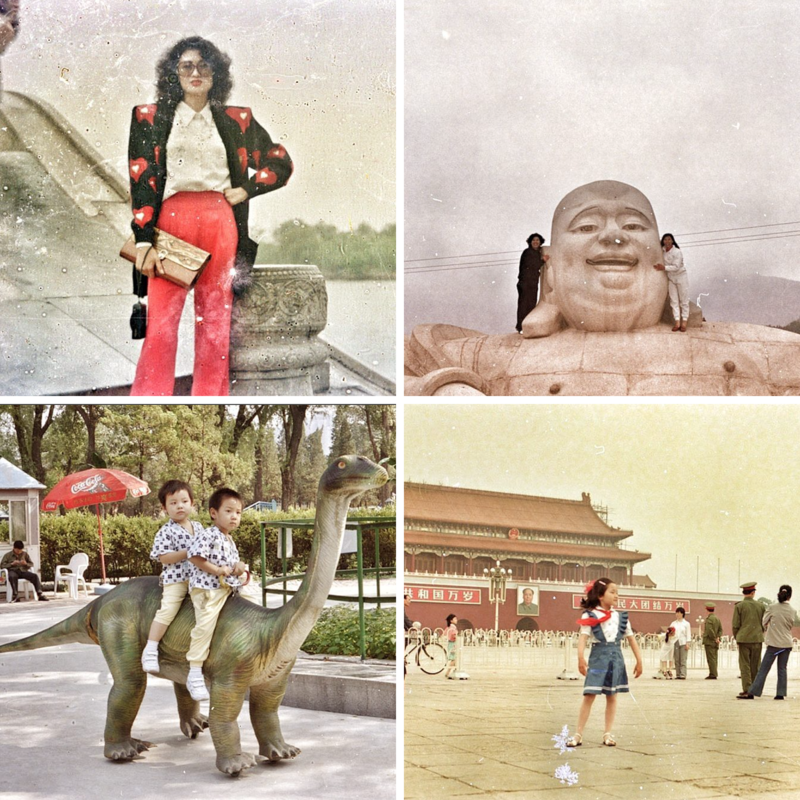 The old photos themselves help us reconstruct the history of analog photography in China. One of the reasons this collection is so compelling is that it takes on a surrealist quality because of the scratches, dust and damage the negatives sustained. In addition to the eye-popping Instagram feed, there’s also a full website that offers more background info on the project. Oh, and don’t forget to peruse the bookshop! There’s even a set of colorful mini-albums containing images from the Beijing Silver Mine project. 2. Peter J. Cohen Collection / @pjcohencollection – This extensive collection (and by extensive, we mean massive) reminds us of the importance and value of printed photos. They are artifacts, one-0f-a-kind objects that often outlive their creators. Culled from 50,000 unique photographs, this Instagram feed showcases some of the curator’s favorites. And the curator himself is a phenomenal individual; he has tirelessly visited antique shops, flea markets, private dealers, and online sources to accumulate his vast collection. The collection itself is based in New York City, where it is carefully housed in archival boxes. Those boxes are then catalogued into over 130 individual categories. Curious to explore the collection? A list of categories is available on the Peter J. Cohen Collection website. As you enjoy the collection, keep in mind that it encompasses various photographic processes, from gelatin silver, cyanotype, collodion, hand-tinted, chromogenic color, and Polaroids. There’s also an exhibit happening now at Vassar College in Poughkeepsie, NY. If you happen to be in the area, drop by to see it in person! Stacy Waldman is a collector and dealer of vintage and contemporary photography, from vernacular snapshots to daguerreotypes, and ephemera. 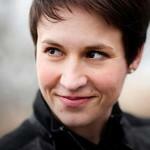 In addition to her online shop hosted by eBay, she also has a brick-and-mortar shop in Easthampton, Mass. That’s a rarity these days, and makes perusing her wares even more fun and interesting! This is just fun! 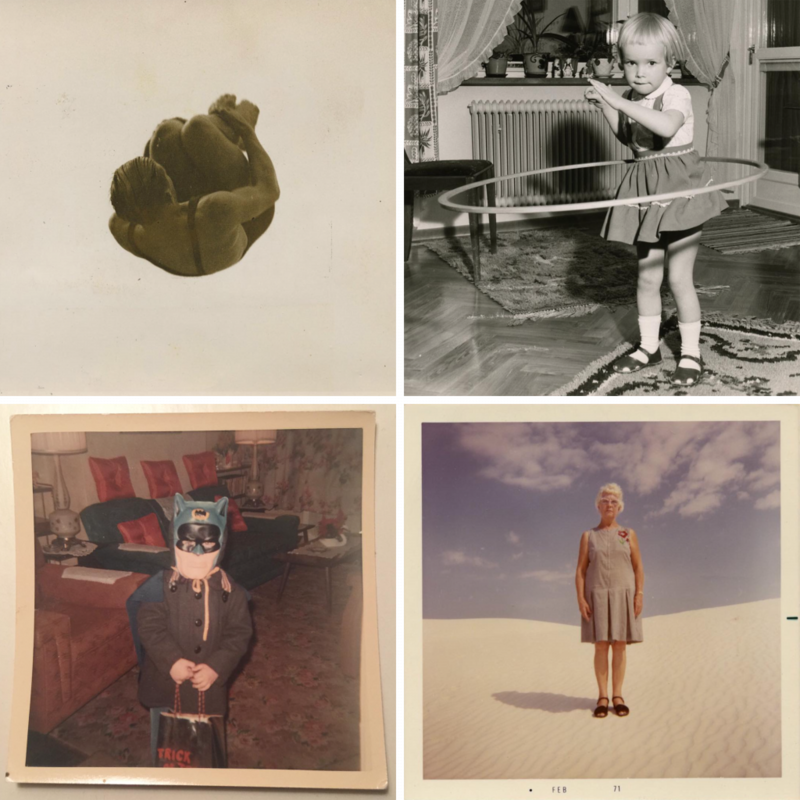 When you peruse this fabulous feed, you’ll find creative captions and mini-stories accompanying each vintage Polaroid picture. 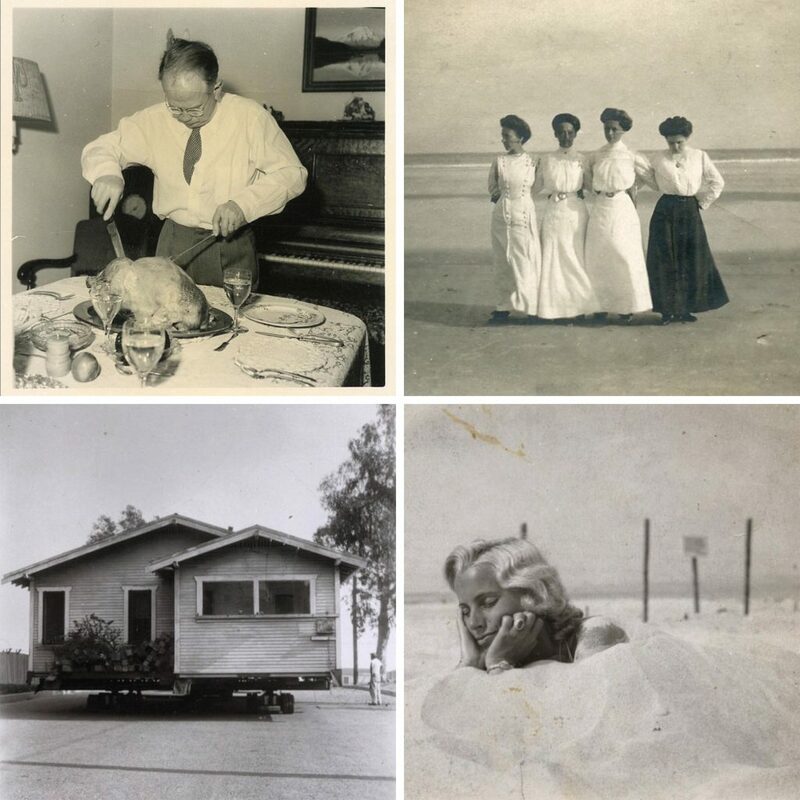 Part of the fun of vintage photos is imagining who the people in them were, where they lived, and what they loved. With over 300 images to enjoy, @found.polaorids is a treasure trove of fascinating visual history. Be sure to take time to read the captions; they’re awesome.